The number of zombie foreclosures in the United States has fallen dramatically compared to a year ago, according a new report by RealtyTrac. The Q2 2016 U.S. Residential Property Vacancy and Zombie Foreclosure Report13 reveals zombie foreclosures, a residential property that is both vacant and in the midst of a foreclosure, decreased 3.1 percent in the second quarter of 2016, and 30.1 percent from a year ago. 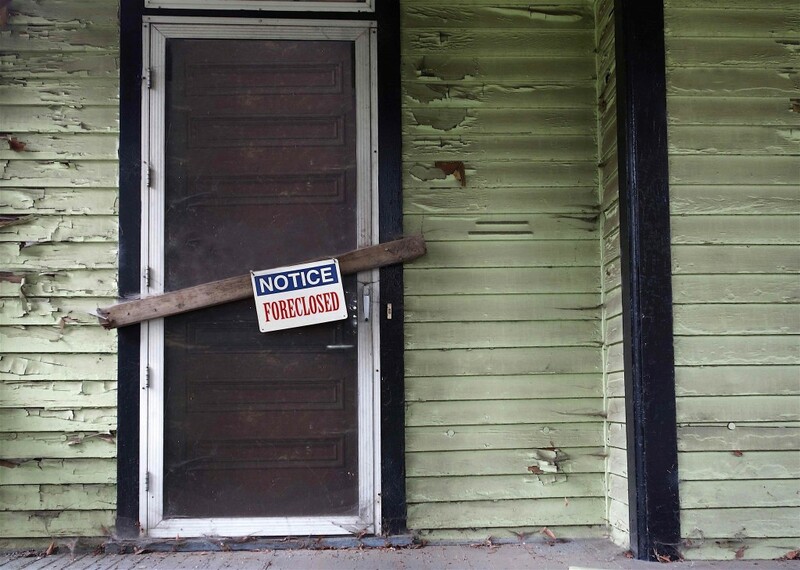 Today, zombie foreclosures represent approximately 4.7 percent of the 19,187 U.S. residential properties currently in the foreclosure process. “Lenders have been taking advantage of the strong seller’s market to dispose of lingering foreclosure inventory over the past year, evidenced by 12 consecutive months of increasing bank repossessions ending in February and now evidenced by three numbers showing a sharp drop in vacant zombie foreclosures compared to a year ago,” said Daren Blomquist, senior vice president at RealtyTrac. “As these zombie foreclosures hit the market for sale they are providing a modicum of relief for the pressure cooker of escalating prices and deteriorating affordability that have defined the U.S. housing market in recent years,” Blomquist added. RealtyTrac calculated the numbers by matching its address-level property data for nearly 85 million U.S. residential properties, including foreclosure status, owner-occupancy status and equity, against monthly updated data from the U.S. Postal Service when a property has been flagged as vacant. According to the report, the states with the most zombie foreclosures were: New Jersey (4,003); New York (3,352); Florida (2,467); Illinois (1,074); and Ohio (1,064). “As market supply and availability has remained low in many areas of the state, loan servicing companies have stepped up efforts of addressing homeowners delinquent on their mortgages, and have accelerated the process of filing for foreclosure,” said Michael Maho, president at HER Realtors, from the Cincinnati, Dayton and Columbus markets in Ohio. States with the highest zombie foreclosure rates, those with a minimum of 100 zombie foreclosures, were: Oregon (11.8 percent); Indiana (9.5 percent); Kentucky (8.0 percent); Maryland (7.2 percent); and Washington (6.6 percent). Among metropolitan areas with at least 100,000 residential properties, those with the most zombie foreclosures were: New York (3,526); Philadelphia (1,744); Chicago (857); Miami (651); and Tampa (627). In metro areas with at least 100 zombie foreclosures, those that posted the highest zombie foreclosure rate were: St. Louis, Missouri (10.6 percent); Indianapolis, Indiana (10.2 percent); Albany, New York (9.8 percent); Baltimore, Maryland (9.7 percent); and Portland, Oregon (9.7 percent). Nearly 1.4 million of the 85 million residential properties nationwide were vacant in the second quarter 2016, up 2.7 percent from the previous quarter. As of May 2016, approximately 1.6 percent of all residential properties in the United States are vacant. According to the report, the states with the highest vacancy rate overall, not counting properties in foreclosure, were: Michigan (3.4 percent); Indiana (3.1 percent); Mississippi (2.8 percent), Alabama (2.6 percent), and Oklahoma (2.6 percent). Among metropolitan areas with at least 100,000 residential properties, the areas with the highest vacancy rates were: Flint, Michigan (7.2 percent); Youngstown, Ohio (4.7 percent); Detroit, Michigan (4.4 percent); Beaumont-Port Arthur, Texas (3.9 percent); and Mobile, Alabama (3.7 percent). Metro areas with the lowest vacancy rates were: San Jose, California (0.2 percent); Fort Collins, Colorado (0.2 percent); Manchester, New Hampshire (0.3 percent); Provo, Utah (0.3 percent); and Lancaster, Pennsylvania (0.3 percent). The RealtyTrac report shows that investment properties accounted for 75 percent of all vacant homes in the United States. A total of 1.1 million U.S. residential investment properties nationwide were vacant as of May 2016, representing 4.4 percent of all investment properties. States with the highest vacancy rate among residential investment properties were: Michigan (11.0 percent); Indiana (10.3 percent); Alabama (7.1 percent); Ohio (6.8 percent); and Mississippi (6.7 percent). Metropolitan areas with the highest vacancy rate for investment properties were: Flint, Michigan (27.6 percent); Detroit (13.5 percent); South Bend, Indiana (12.8 percent); Youngstown, Ohio (12.5 percent); and Fort Wayne, Indiana (12.0 percent). The report also found that there were 43,602 vacant bank-owned residential properties during the second quarter of 2016, down 5.0 percent from the previous quarter. This represents 15.9 percent of all REO residential properties in the U.S. The states with the highest percent of REO properties that were vacant were: Oregon (29.8 percent); Indiana (29.7 percent); Delaware (28.3 percent); Michigan (27.0 percent); and Ohio (25.0 percent).